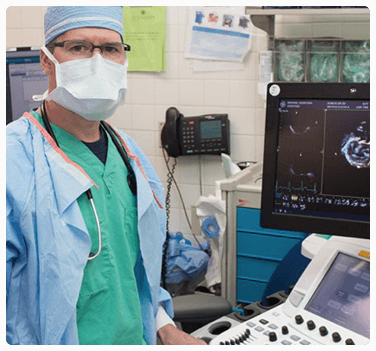 "The NFAC cardiac anesthesiologists are expert physicians dedicated to excellence in patient care. They were instrumental in helping us develop our TAVR and minimally invasive valve programs. The NFAC physicians are invaluable members of the cardiac surgical team." North Florida Anesthesia Consultants has a proven track record of providing excellent clinical care and exceptional service in northeast Florida, including Duval, Baker, Clay, and Union Counties. We have been serving the St. Vincent’s Healthcare system for over 25 years, building solid relationships in and out of the operating room. Our hospital system has seen tremendous growth, and NFAC has been involved and adaptable every step of the way. We continue to hire top quality anesthesiologists from the best anesthesia residency programs in the country to meet increasing clinical demand. We have a well-organized corporate structure with an active board of directors to provide solid leadership and ensure flexibility and consistency to meet the needs of our clients. See what our administrators are saying. We are not just clinical anesthesiologists, we are strategic partners. We realize that much of our work needs to be done outside of the operating room: developing protocols, being active members of committees, providing education to nursing staff, and fine tuning perioperative processes to maximize efficiency. We are not only committed to clinical excellence, but we are also committed to improving the facilities that we serve. Over the years, NFAC physicians have served as president of the medical staff, chairman of the Medical Staff Performance Improvement Committee, chief medical officer, medical director, physician advisor, and more. Our physicians stay actively involved in various committees including the Medical Staff Performance Improvement Committee, Medical Executive Committee, Credentials Committee, Serious Safety Event Huddle, Improving Medication Reconciliation Team, OR Governance Committee, GI Governance Council, Orthopedic Co-Management Committee, TAVR and Valve Clinic, Orthopedic Center of Excellence Committee, and Bariatric Center of Excellence Committee. In our opinion, the last thing a busy administrator should have to worry about is reliable anesthesia coverage. A partnership with NFAC provides creative staffing solutions and efficient, expert anesthesia care so you can focus on growing your business. We have a tremendous amount of experience creating anesthesia solutions from the ground up. At NFAC, we put your patients first. Patient satisfaction is paramount to our mission, which is why we have a dedicated patient education center. We feel that informed patients are more satisfied. We offer state-of-the-art acute pain control services, which decrease pain scores and improve patient satisfaction. We constantly monitor patient feedback and adjust our practice accordingly. We are dedicated to ensuring that your patients are satisfied with their care and, in turn, willing to return to your center and recommend it to a friend. See what our patients are saying. Surgeons are a vital part of the perioperative process, and their satisfaction is a high priority to NFAC. Our physicians work closely with our surgeons to develop surgeon-specific perioperative protocols and cutting-edge anesthesia techniques; to provide dedicated anesthesia teams when appropriate and swing-and-flip rooms to keep our surgeons’ schedules running smoothly. We encourage and monitor surgeon feedback to continually improve ourselves and further our mission of providing world-class service to our surgeons. See what our surgeons are saying.